Goddess Cleansing Ritual is a miracle Spa-in-a-jar duo! This hydrating cleansing duo includes a coconut oil-based, super-charged Vitamin C, glow-boosting citrus oil cleanser and a deeply-purifying bamboo charcoal cleanser plus a gentle muslin cloth to remove and reveal a Goddess Glow! 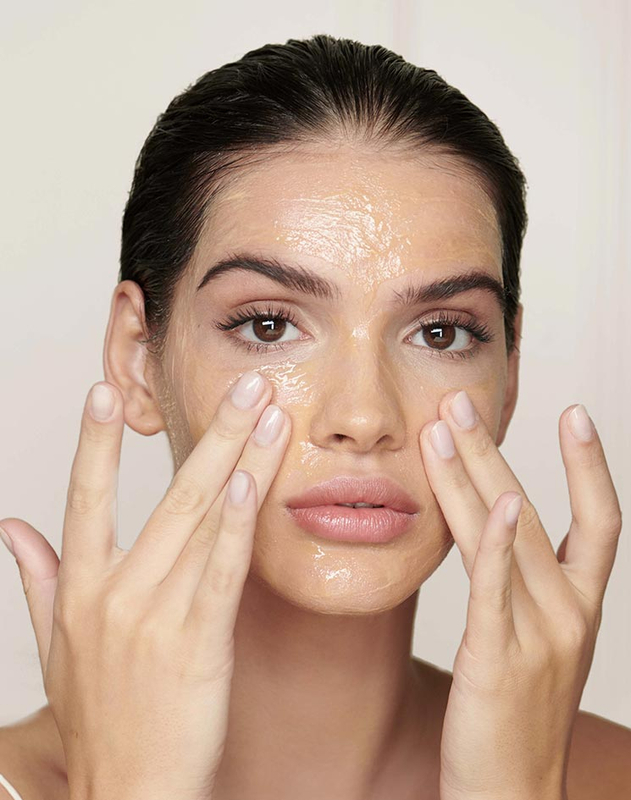 This easy, yet innovative two-step regime for a fresh, perfectly spa-cleansed complexion helps to draw out impurities and put back in the glowing goodness. Step 1: Massage citrus oil cleanser onto the face and around the eye area gently. 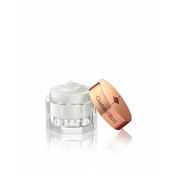 Immerse the muslin cloth in warm water and apply to the face to melt off your makeup. For a magic steam-clean, press warm the muslin cloth onto the face for 20 seconds to open your pores. Step 2: Massage charcoal cleanse into wet face until it turns white, avoiding eye area. Wet the muslin cloth in warm water and wash off. 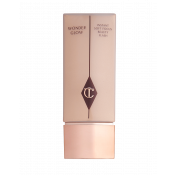 Charlotte Tilbury Goddess Cleansing Ritual Cleanser is rated 4.8 out of 5 by 177. Rated 5 out of 5 by Ruby from Nothing short of a Miracle! I have been using this for 3 months now. I wanted to wait and really give it time before I wrote a review. I am ASTOUNDED! I have been using high end medical grade products ( Skin Medica, Obagi ) for 25 years now. I have had microdermabrasion treatments , used pore cleansing products, peels etc. NOTHING has every cleansed my skin like this before!!! I have had VERY large and congested pores - black heads, all my life. My pores are gone!! My black heads are gone. My skin looks and feels like glass! I use the 12x magnification mirror and can’t barely see my pores any more. I will be purchasing as long as they sell it and as long as I live!! 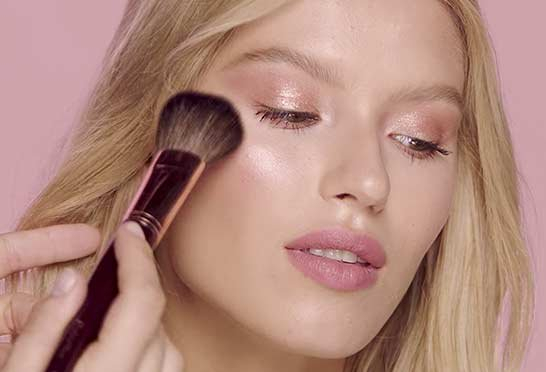 Rated 5 out of 5 by Lizzy rouse from AMAZING I am a spa beauty therapist, and as much as I try to have loyalty to the skin care brand I use, I’m to much of a Charlotte tilbury fan to not try out this new product. All I have to say is THANK YOU to who ever is involved in making this product , I love it!! It wipes away my make up withinh seconds, the smell is delicious and it leaves my skin feeling so refreshed! One massive plus is the affordability, it’s a fantastic price which means I can keep using it and not have to dread having to fork out a fourtune for the next purchase! Ive used a lot of cleansers in my time and this is by far my favourite! Thank you! Rated 5 out of 5 by SopB86 from Divine! I don't know where to start, I just love it. Everything about this product screams quality and luxury. Even The packaging is stunning. 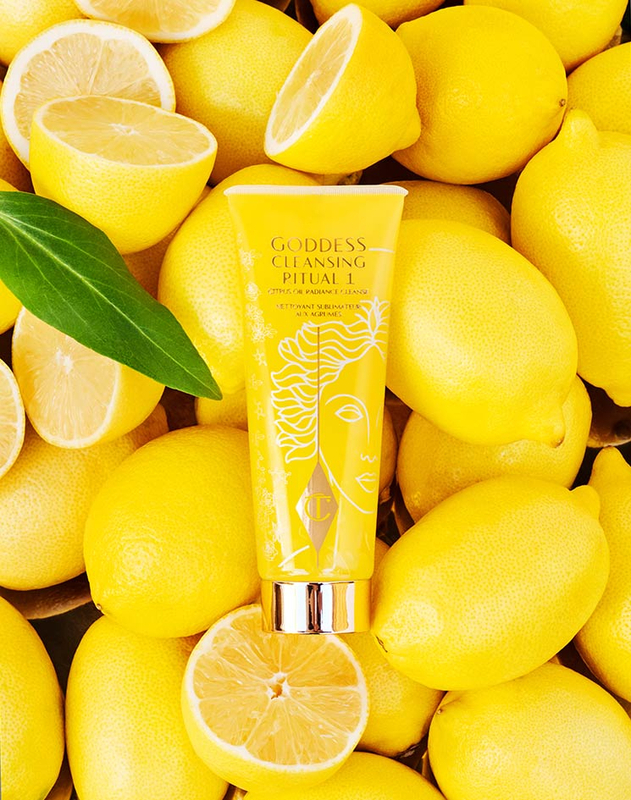 The citrus oil cleanse has a gorgeous fresh fragrance and it is a lovely thick texture, which means you don't need very much. The purifying charcoal cleanse has a really clean, subtle fragrance and again is a lovely thick texture. The cleansing cloth is a good size and nice and soft. There are 2 sheets of fabric so it holds onto the heat from the water for longer. Both formulas dissolved my make up with ease and left my skin feeling clean and fresh. I have also noticed a difference in the appearance of my skin, it is more dewy and my skin tone is more even. I cannot recommend this product enough. It is simply exquisite! Rated 4 out of 5 by Jess from Happy customer This was my first time using any Charlotte tilbury product and I am impressed with the results. The citrus oil cleanse has a great fragrance and consistency. Using it with the Muslim provided all make up is removed raving skin feeling soft and conditioned. I can’t fault the purifying charcoal cleanse either. 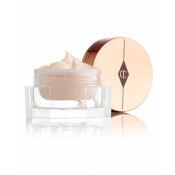 I have had compliments on the clarity of my skin after a few days of using the Charlotte tilbury cleansing ritual (miracle spa in a jar duo). Rated 4 out of 5 by Austi from Brighter skin! I was a bit sceptical when purchasing this but I instantly saw the difference in my skin after using this for the first time. I have dark skin but still could see a dullness to it in the winter. My skin felt soft and looked brighter after using this product. I was amazed at what a difference it had made. I love the way it’s so easy to take make up off as part of the cleansing step. I’m a month in and using daily. 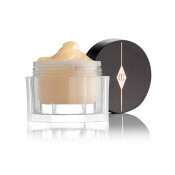 The products are quite gentle so I don’t feel like I’m damaging my skin. The only thing is that I’ve had to purchase some cloths as using the same one more than twice to remove make up, didn’t sit well with me. Rated 5 out of 5 by ChloeWoolly from Great products, amazing value. I've had this a week now and been using it religiously. I always use a separate cleanser to remove my make up before cleansing so this was a no brainer for me. The step one make up removal was lovely, a little goes a long way and it removed all my make up first time, including mascara without too much harsh rubbing. The second charcoal phase smells lovely, and made my skin feel very clean after use. Both products left my skin feeling clean, but not stripped and dry, so work really well together. I will definitely buy again once I've used these two up. Rated 5 out of 5 by NI18 from Heavenly! I've been using the goddess cleansing ritual for a couple of weeks and the results are fantastic. Ritual 1 smells so good and it feels totally indulgent. The warm cloth really helps to open up your pores. You massage Ritual 2 onto your face until it turns from black to white. This can take a while but I think that's part of the ritual, that you spend a bit longer than normal. After using both my skin felt clean and fresh. Would highly recommend. Rated 5 out of 5 by Miss V from My skin feels amazing This is a two-step process, the oil which has a lovely refreshing citrus oil is applied first, this really enlivens the senses. Next, the clarifying charcoal is applied which you wipe off using the cloth supplied. My face feels fresh and squeaky clean. It also looks brighter and refreshed. I will be purchasing this product again and will gift to friends.